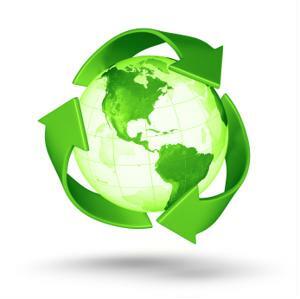 Professionals often regard "sustainability" and "lean" as words referring to the same concept. While there are similarities between the two, a clear difference persists. In business terms, sustainability is defined by practices that use available resources optimally. Conversely, lean is a term applied to strategies or assets that are completely devoid of waste. Measuring sustainability would involve scrutinizing the performance of each asset and worker throughout the purchasing and distribution process, which is impossible because the quality of employee production is typically dictated by option. One could interpret any metrics for sustainability and leanness as ambiguous, asserting that a supply chain "can always be more efficient." Nevertheless, these factors shouldn't hinder organizations from setting ambitious goals. As they say, if you shoot for the moon and miss, you're going to end up in the stars somewhere. Overproduction: This occurs when procurement officers and sales directors fail to share information. A purchasing specialist may submit orders for products based on historic demand, even if present or future demand doesn't call for it. Unnecessary inventory: Ideally, warehouse managers want to liquidate products as quickly as possible. Leaving goods to sit in distribution centers for prolonged periods of time reduces their value and increases costs. Excess transportation: When trucks are not moving as many goods as they're capable of, shippers are paying for unused volume. How can these and other wasteful practices be routed out from existing processes? IndustryWeek contributor Olivier Larue maintained that organizations should set goals to holistically eliminate efficiencies. He asserted that focusing on individual tasks and strategies isn't a good mental approach to take. "In a marketplace that chases ROI, this is the approach that informs (and infects) the decision-making process," he wrote. "For this reason, it's the only one that misses the mark because all too often, maximizing ROI of individual assets isn't what's needed for the success of the whole." While Larue does make a valid point, it can be constructive for organizations to focus on small-scale responsibilities and build their way up.